LOCHABER GEOPARK ASSOCIATION is a community-run not-for-profit charity based in Fort William, in the West Highlands of Scotland, with many of its activities provided by volunteers. Unfortunately, in 2018 the Scottish Government decided to no longer support the Scottish Geoparks. However, with you support we will be able to continue to employ our full-time project manager. In addition, the Crowdfunding income will help us to become self-sustaining, by keeping our Visitor Centres open and enabling us to continue to provide a full range of indoor and outdoor educational activities. to your friends, family and other contacts. The Geopark serves the entire Highland Council District of Lochaber, covering more than 4500 square kilometers and is home to Ben Nevis, the highest mountain in the British Isles, dramatic glens, such as the infamous Glen Coe as well as beautiful coastal scenery, such as the Silver Sands of Morar (the setting for the beach scenes in the classic film 'Local Hero') and the magical Small Isles in the Sea of the Hebrides. Geoparks are areas with outstanding geological, ecological, archaeological, historical, and cultural heritage. We promote awareness of the richness of our area through provision of public information and educational outreach for the benefit of local people and visitors. The West Highlands of Scotland has long been geologically significant: discoveries in and studies around our region have contributed more to the development of the science of Geology than any other regions of similar size in the world. Our mission is to enhance the understanding, appreciation and experiences of visitors to the area, as well as that of local residents, in respect of our geological heritage, classic geological localities and outstanding scenery. Lochaber has dramatic mountain scenery that attracts more than a million visitors each year. It is a magnet for outdoor enthusiasts taking part in popular activities such as hill-walking, rock- and ice-climbing, skiing and mountain biking. 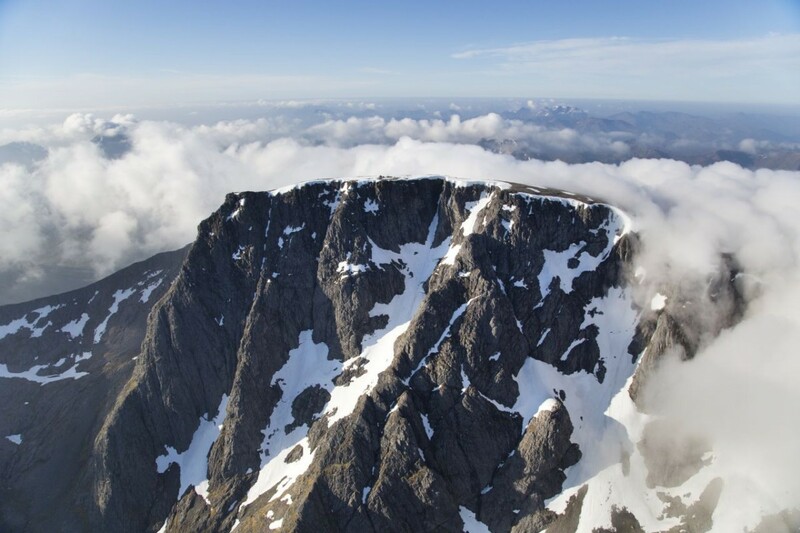 Ben Nevis North Face & Summit - Picture credit: Andrew McMahon. PLEASE HAVE A LOOK AT THE LIST OF REWARDS AVAILABLE ON THE RIGHT HAND SIDE OF THIS PAGE AND MAKE A PLEDGE TO HELP US. We were founded in 2004 and are a Registered Scottish Charity. Up until 2013 we operated as a largely voluntary organization from a free office provided by the Highland Council. Grants were obtained for projects that included the production of 8 Geotrail pamphlets describing geological walks in Lochaber, the installation of 20 interpretative panels explaining the geology and scenery at outstanding viewpoints to be found around Lochaber, the creation of ‘22 Rock Routes’ around Lochaber. We also provided a permanent geological display in Ardnamurchan Lighthouse, at the request of the Lighthouse Trust. From 2013 – 16, in common with the two other Scottish geoparks (North-west Highlands Geopark and Geopark Shetland), we were awarded Scottish Government funding to employ core staff to develop long-term, sustainable business plans. 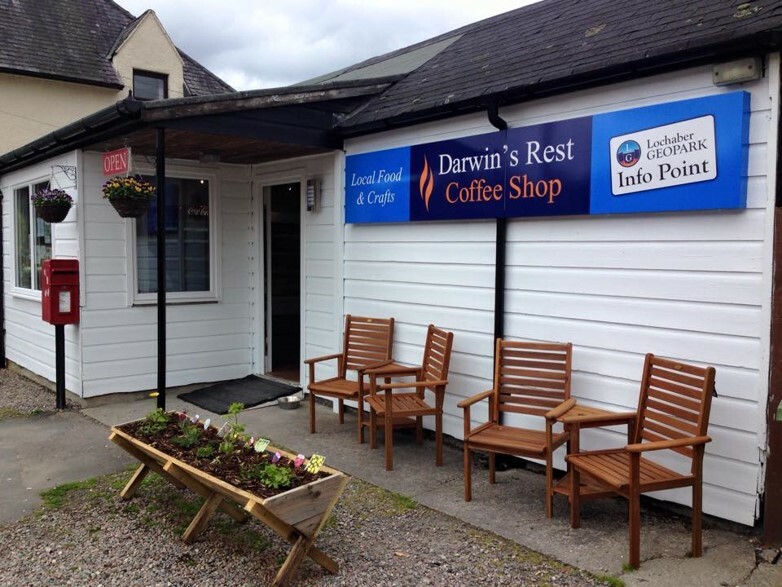 Lochaber Geopark developed two Visitor Centres, the largest in Fort William High Street, the second, called Darwin’s Rest, in Roy Bridge, 11 miles NE. A recorded 35,000 people come into our Fort William High Street Visitor Centre each year, together with an estimated 6000 at Darwin’s Rest. We support the local economy by promoting Lochaber, making a visit to Lochaber a more memorable experience. Our volunteer Directors (several of whom are qualified geologists) have worked tirelessly since 2004 communicating their passion for Geology to visitors and local people. Geology has an impact on every minute of our daily lives – almost everything you own came out of rocks! So Why Do We Need Your Support Now? Unfortunately, in 2018 the Scottish Government has decided to no longer support the Scottish Geoparks. With you support we will be able to continue to employ our full-time project manager - a recent Geology graduate with outstanding local knowledge and Mountain Leadership qualifications - who is tasked with managing and increasing sales, supporting the visitor centres, bringing in new crafters, as well as promoting and organizing our Geotours, educational activities with the primary & secondary schools around Lochaber and our ‘Friends of Lochaber Geopark’ membership scheme. · Increase our ‘Friends of Lochaber Geopark’ membership numbers as well as put on more events for our Members.  · Promote and expand our Geotours programme. · Improve our retail activities, particularly by carrying more stock and by expanding the number of local craft workers using our outlets. 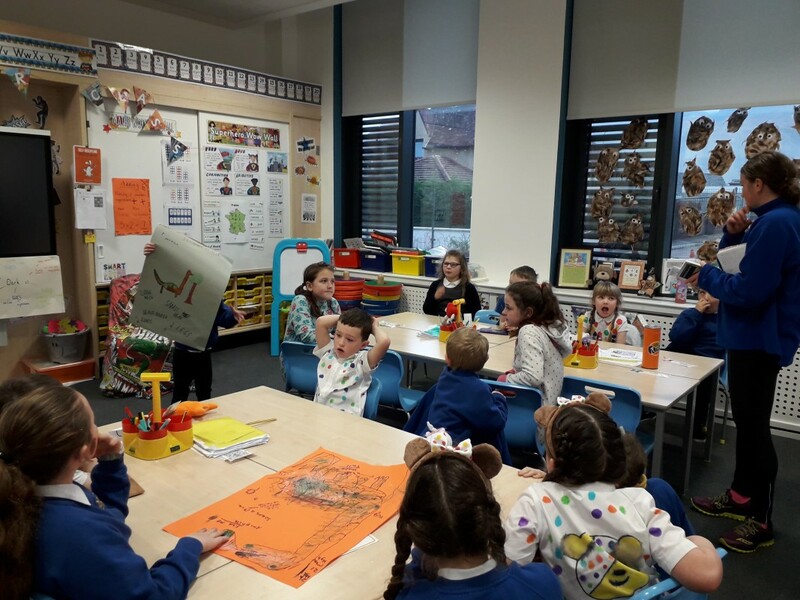 · Expand our outreach education, helping with the ‘curriculum for excellence’ and STEM (Science, Technology, Engineering and Mathematics) learning in our local area. · Apply for grants from charities and geology-based industry. The Rock Routes link 22 fantastic scenic viewpoints across Lochaber, with colourful interpretation panels, showing the connection between the magnificent scenery and dramatic geological history of the area. Did you know that Charles Darwin’s second scientific paper, published in 1839, was about Lochaber? 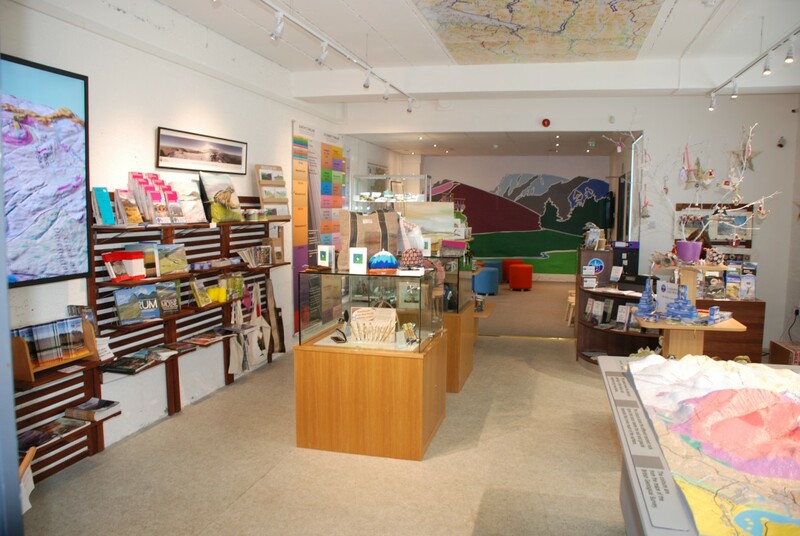 You can learn all about his contribution to geology in our Visitor Centre in Roy Bridge where displays, publications and artwork explain the formation of the mysterious 'Parallel Roads' of Glen Roy. Darwin thought they were the shorelines of an ancient sea, but today we know they are the shorelines of lakes, held back by advancing and retreating glaciers, just 12,000 years ago. Our centre is not just for adults. 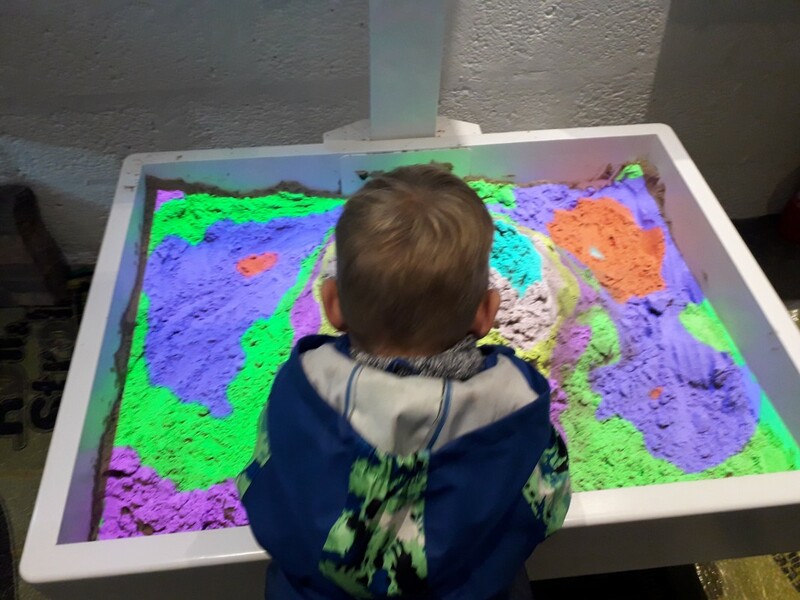 We have a special interpretation panel called ‘What Can Rocks Tell Us’ which is particularly aimed at children plus a fossil dig area, geological puzzles, dinosaur colouring-in, Lochaber Geopark rock box, and our interactive, state-of-the-art iSandbox. The iSandbox is a fantastic visual and hands-on tool aimed at helping children learn more about climate, volcanoes, geometry, topography and more. Ardnamurchan lighthouse, built by Alan Stevenson in 1849, is famous for being at the most westerly point of mainland Britain. Lochaber Geopark has displays, for both adults and children, in one of the out-buildings of the lighthouse. 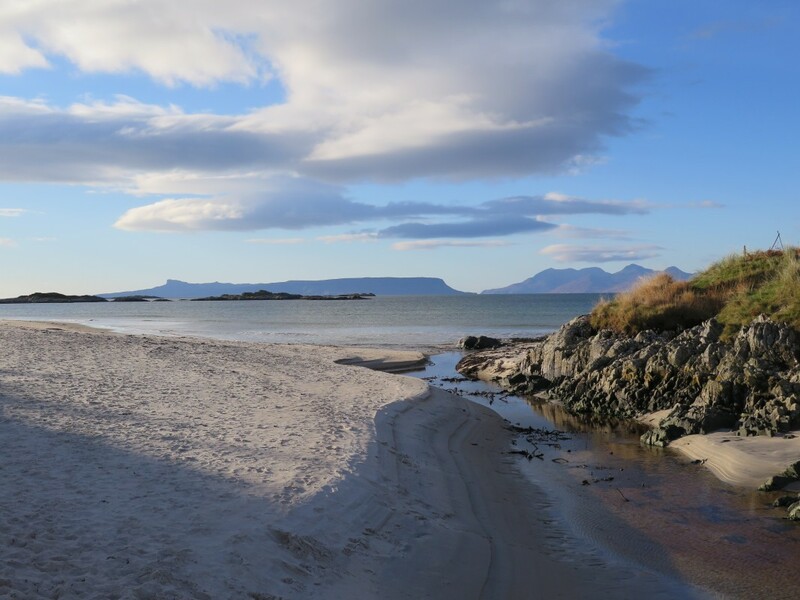 The geology of the Ardnamurchan peninsula is world-famous because of circular rings of hills composed of rocks that formed 60 million years ago beneath a volcano, when the North Atlantic was beginning to open. There is also a display of minerals from the mines in the nearby village of Strontian, after which the element strontium (Sr) is named. We provide outreach education to local schools, including our Geopark ‘rock boxes’. 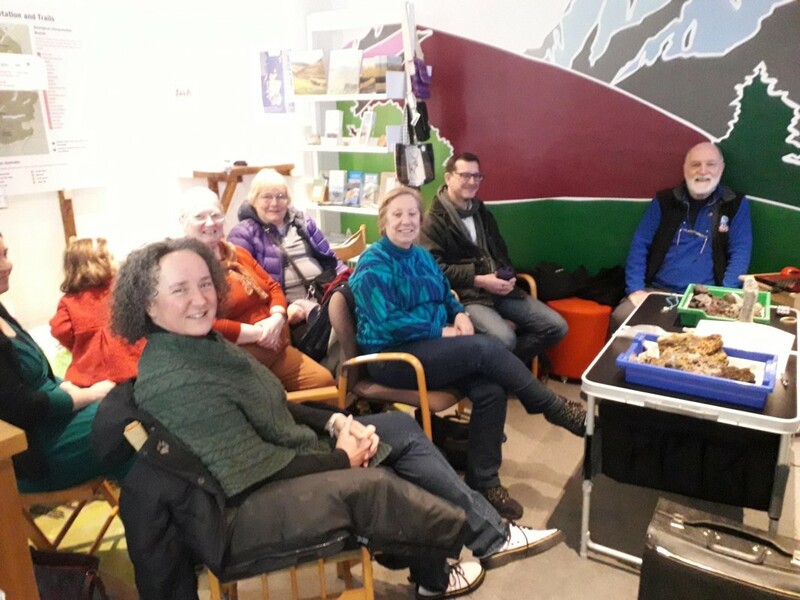 We have hosted events in partnership with local organizations including Nevis Landscape Partnership, John Muir Trust, Wild Lochaber Festival and the Geoheritage Festival. Our staff geologist, a STEM ambassador, visits local schools to lead workshops in various areas of science. We also work with community groups such as Brownies and Scouts, and host visits to our centre. 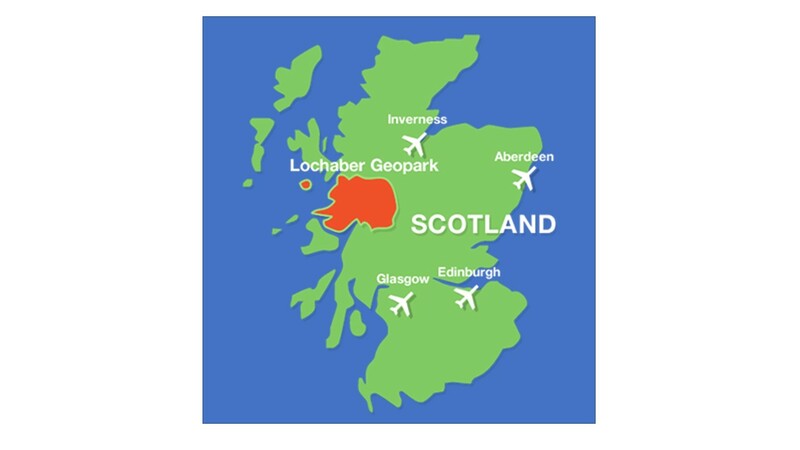 Lochaber Geopark is the main sponsor of the Lochaber STEM (Science, Technology, Engineering & Mathematics) Fair which brings pupils together from all the local primary schools (160 children in 2019) to engage in learning about STEM careers, showcasing their STEM Learning and facilitating a coming together for an annual STEM Workshop. In 2018 Lochaber Geopark led a field trip for the Adventure Geography Module students at the West Highland College of the University of the Highlands and Islands, taking them to Glen Roy. Next year we are hoping to have more involvement with the execution of this course. 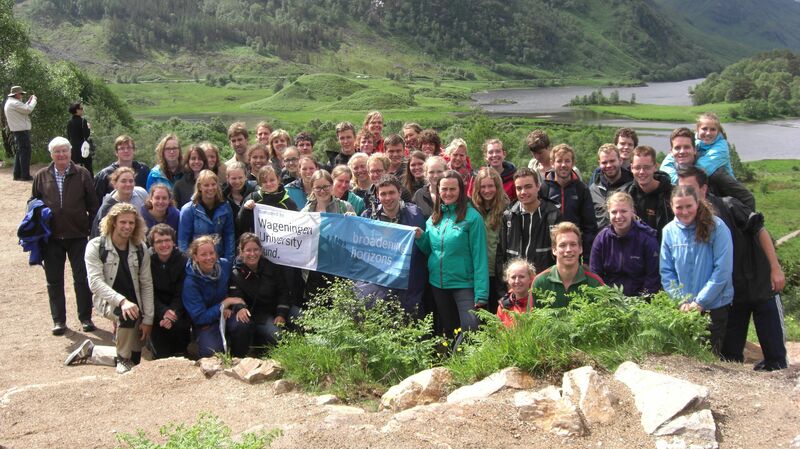 We have led student visits from Universities in Norway and the Netherlands. Every year Lochaber Geopark delivers a series of Winter Talks either at the National Trust Centre in Glencoe or in the Geopark's own Visitor Centre. Led by our Chairman and a founding Memeber, Jim Blair, these geologically themed talks have become a key part of the calendar for local people where they have the chance to view and handle various specimens and thin sections of rocks. Our local geology course is very popular. It goes on throughout March and finishes at the end of the month with a weekend field trip. We offer this course free to our volunteers and at a discounted rate to our ‘Friends of Lochaber Geopark’ members. Course attendees are given learning material to supplement the course. 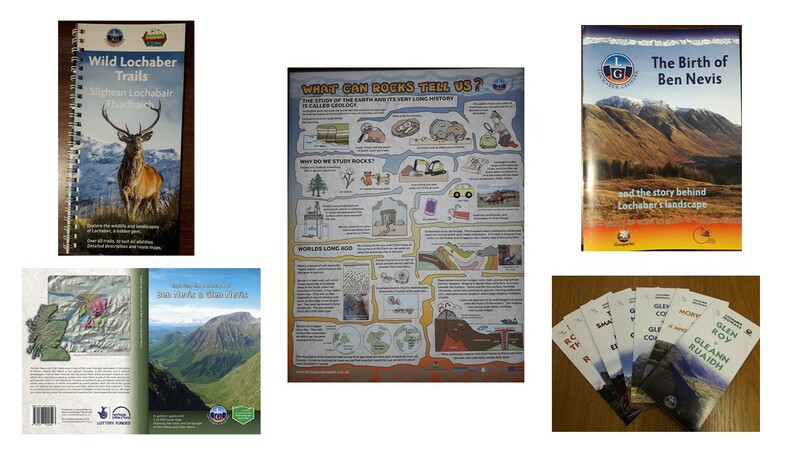 We have a wide range of publications ranging from the pamphlets describing the locations of our Rock Routes and Geotrails around Lochaber to geological timelines, educational posters, maps, guides and books on the Landscape of Ben Nevis and Glen Nevis. For a complete list of all of those available please go to this link or alternatively pop into the Visitor Centre in Fort William next time you are in the area. As you can see, Lochaber Geopark is a lively, energetic outdoor educational charity that enriches the lives of local people and provides a memorable experience for visitors. Please help us develop our income so that we can become self-sustaining and continue our work for generations to come. RIGHT HAND SIDE OF THIS PAGE AND MAKE A PLEDGE TO HELP US. Lifetime Family Membership to Lochaber Geopark + a one day Geotour with a Staff Geologist for the Family starting at our Visitors Centre in Fort William with an introductory presentation . One Year Single Membership of Lochaber Geopark + 90 minute Private Tour of Visitor Centre with a Staff Geologist. One day Geotour with a Staff Geologist for 2 people. Starting at our Visitors Centre in Fort William with an introductory presentation.